Born in Omsk in 1998. 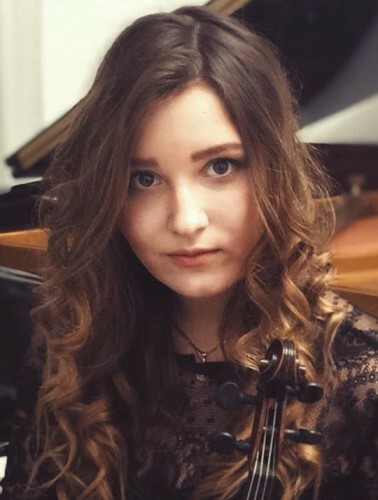 Elizaveta graduated from the Moscow Gnessins Music School (class of an honored artist of Russia, prof. Tatyana Berkul, an honored artist of Russia, prof. Vladislav Igolinsky). At present, she is studying at the Moscow State Conservatory named after P.Tchaikovsky (class of a people’s artist of Russia, professor Vladimir Ivanov). 2013 - the 3d prize of the Toliatti International Competition for young performing artists. 2014 - winner of the Junior Delphic Games of Russia (Volgograd). 2015 - winner of the International “Musician is a calling” Competition (Moscow). She participated master classes by Matthew Hunter, Ivry Gitlis, Leonid Kerbel.